EL DORADO HILLS, Calif. (KGO) -- A housing subdivision near Sacramento is under fire for a whites only policy. The Foster family recently moved into the Lake Hills neighborhood in El Dorado Hills. 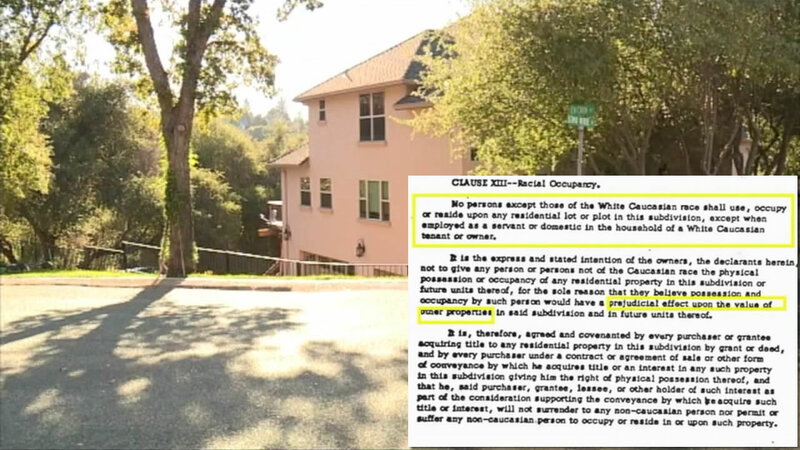 While signing paperwork, they noticed a clause in the subdivisions CCRs stating quote: "No person except those of the white Caucasian race shall use, occupy, or reside upon any residential lot or plot in this subdivision, except when employed in the household of a white Caucasian tenant or owner." They cried foul and officials are now vowing to remove the clause, which violates federal law. "Have our staff start to glean over those and just make sure there aren't any other examples like that that need to be updated," said Brent Dennis of the El Dorado Hills Community Services District. The rules have been on the books in the development since 1961. Residents say they're no longer enforced, but they're outraged, nonetheless.